OLYMPIA — The House has approved a proposal for a new employee-funded program that would create a benefit to help offset long-term care costs. House Bill 1087 passed on a bipartisan 63-33 vote and now heads to the Senate for consideration. This was a chance to advocate for senior issues with our legislators. The Washington State Legislature directed the Department of Commerce to study the retirement preparedness of Washington residents, based on region, age, type of employment, and income. 1-866 ENDHARM Call this toll-free number if you suspect that a child or vulnerable adult is being abused or neglected. Read More..
‘I hope I can quit working in a few years’: A preview of the U.S. without pensions Read More.. Afraid of Falling? For Older Adults, the Dutch Have a Cure Read More..
Health Directive for Dementia: What kind of medical care would you want if you were to develop worsening dementia? Read More..
Social Isolation and Loneliness—The Realities of Modern Life (and what we can do to change that) Read More..
Falls Prevention: Something a Community Can Agree On Read More..
Health Insurers Are Vacuuming Up Details About You — And It Could Raise Your Rates Read More..
‘Too Little Too Late’: Bankruptcy Booms Among Older Americans Read More..
Office of the Insurance Commissioner 2019 Legislative Priorities Read More..
Washington’s Biggest Toxic Waste Polluter: A Mine (With Hanford Not Far Behind) Read More..
More than 150 Dems launch caucus to expand Social Security benefits Read More..
Of a Certain Age? You May Need to Withdraw Money From a Retirement Account Read More..
investors recover their money. Worker pensions are short millions. Read More..
Grandparents increasingly targeted by impostors who know "everything" about them Read More..
Clark county: Report highlights transportation issues facing elderly Read More.. Supplements Won’t Prevent Dementia. But These Steps Might. 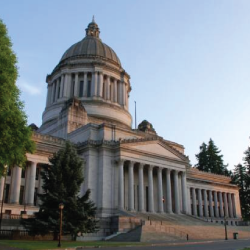 Read More..
Senate passes “environmental justice” bill Read More..
New ‘Washington Environmental Health Disparities Map’ Read More..
Statewide broadband bill passes out of committee Read More..
As of March 8, 2019 Several members of the Washington State Legislature return back to district during the Legislative Session to participate in town halls where they can talk to their constituents about what is going on in the Legislature and how they feel about many of the issues that are being debated.